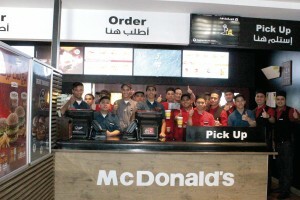 Riyadh International Catering Corp. (RICC), the McDonald’s Corporation franchisee in Saudi Arabia, is laying the foundations for further expansion with a new data center. The network infrastructure has fully-automatic monitoring in real time. Project: Cabling of the new data center and LAN for the corporate headquarters, connection of 130 restaurants. Application: Structured data center network with Cat. 6A copper and OM3 fiber optic cabling, automated network monitoring with R&MinteliPhy. 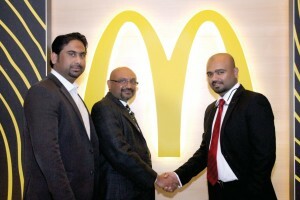 Riyadh International Catering Corp. (RICC), the McDonald’s Corporation franchisee in Saudi Arabia, planned a new data center as the foundation for further expansion in Saudi Arabia. It currently supports the operation of 130 restaurants. “In order to ensure top quality for the products and services we provide, we also need top quality for our back-end processes and applications. To support our rapid growth, we are therefore dependent on a high-performance cabling infrastructure which is absolutely reliable and can be upgraded.” This was the way Waleed Naseer F. Al Saud, Vice President Business Support, Riyadh International Catering Corp., defined the task at the start of the project evaluation. R&M developed a complete solution for planning, installation and training in collaboration with its partner in Riyadh, WeCare Technology (WCT). The new data center was equipped with cutting-edge solutions from R&M, including Cat. 6A copper cabling, HD patch panels, OM3 fiber optic cabling, server cabinets and the Raceway System for cable guidance. 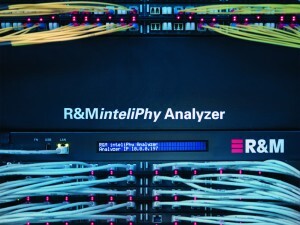 The technical highlight is the R&MinteliPhy solution for automated infrastructure management. Employees of the local system integrator and the IT team at McDonald‘s were given intensive training and certified by the R&M Academy. They learned about the installation, handling and use of all R&M components. The training and certification ensure the sustainable implementation of R&M’s high quality standard by users. The McDonald’s partner, RICC, can enjoy the benefits of the 25-year system warranty. It extends to the whole cabling infrastructure and all components supplied by R&M. The R&MinteliPhy system has been precisely tailored to the needs of the growth-oriented restaurant chain. It also supports commercial and strategic requirements. 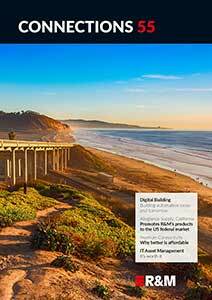 R&MinteliPhy thus helped RICC’s IT team to make the best possible use of the valuable space in the data center. At McDonald‘s request, the monitoring system also supervises other facilities in the network via SNMP. For example, help from R&MinteliPhy enabled the integration of many active components into the buildings management system. Waleed Naseer F. Al Saud, VP, Business Support, Riyadh International Catering Corp.